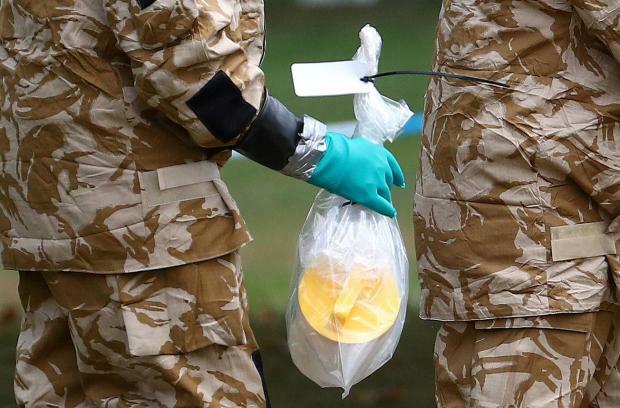 Citing unnamed sources the Tages-Anzeiger and NRC Handelsblad said the suspected agents were heading for the Spiez laboratory near Bern which analyses chemical and biological weapons, including the Novichok nerve agent. Britain says Moscow used Novichok to try to murder former Russian spy Sergei Skripal in early March. "Swiss authorities are aware of the case of Russian spies identified in The Hague and expelled from there," the Swiss NDB intelligence agency said in a statement. "The NDB took active part in this operation together with its Dutch and British partners. The NDB has thus contributed to preventing illegal activity targeting critical Swiss infrastructure." "We consider such false statements simply absurd and nothing other than another attempt to stoke an anti-Russian atmosphere," it said. The Dutch military intelligence agency MIVD did not immediately respond to requests for comment. On March 26, the Dutch government said it would expel two Russian "intelligence agents" who worked at the Russian embassy in The Hague, without giving further details.